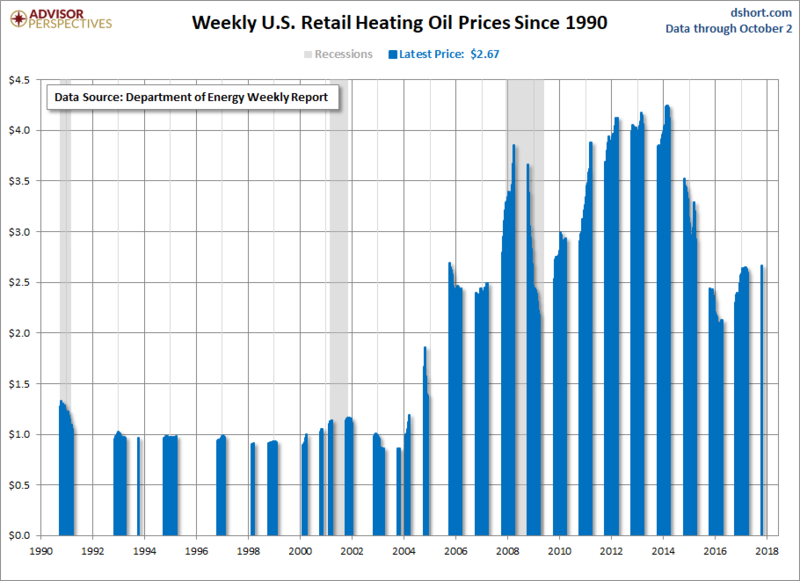 We’ve used data based on the Energy Information Administration (EIA), which publishes price data weekly on home heating oil in 38 states by dollar-per-gallon before taxes. Unlike natural gas and electricity, home heating oil is provided by independent retailers. We present our first seasonal heating oil update of the season which we will be following this closely throughout. 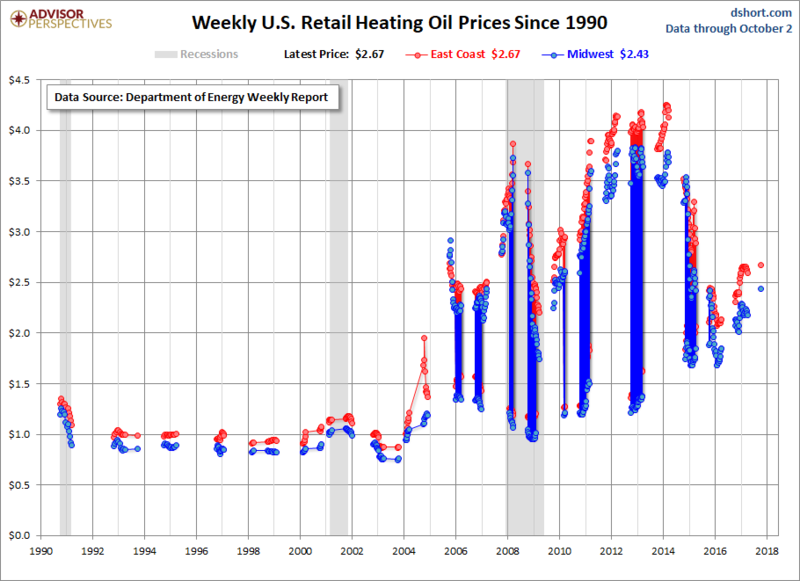 The latest price of home heating oil nationwide is $2.67, slightly higher than the end of the 2016-2017 season, which was $2.58. 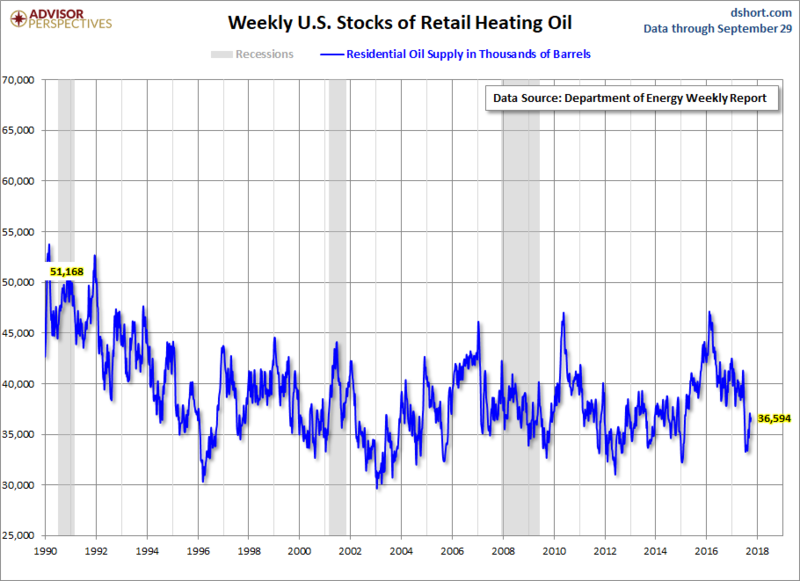 EIA’s heating oil data is seasonal – from October through March. Here’s a look at the series since its inception in 1990. EIA breaks the data down into regions and sub-regions. Here we’ve overlayed the US average with the East Coast and Midwest regions. Notice that Midwest prices tend to be much lower than East coast prices and see more dramatic declines. Currently, the East Coast is seeing $2.67 while the Midwest is at $2.43. 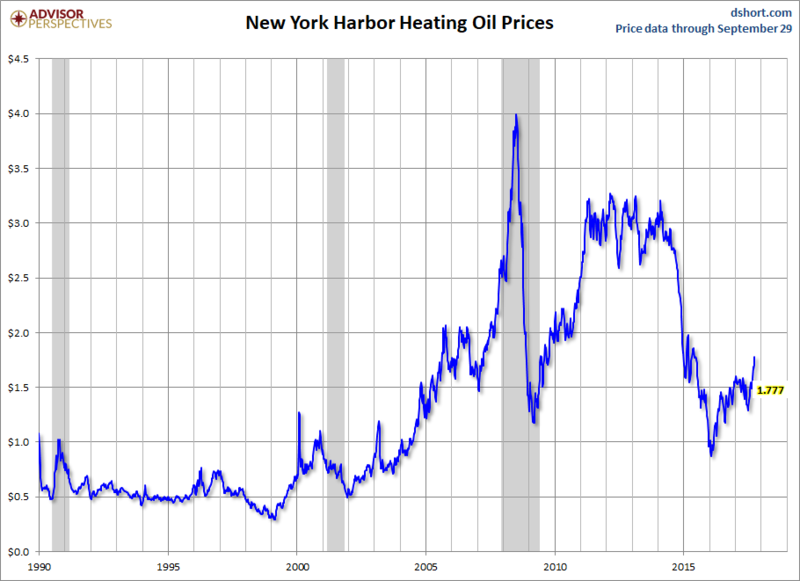 The next chart shows the New York Harbor (NYMEX:HO) spot prices going back to 1986.